A landmark in jazz studies, Thinking in Jazz reveals as never before how musicians, both individually and collectively, learn to improvise. 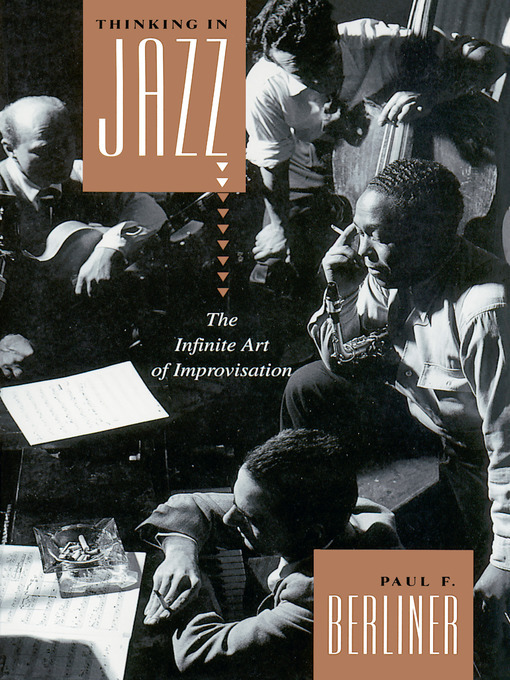 Chronicling leading musicians from their first encounters with jazz to the development of a unique improvisatory voice, Paul Berliner documents the lifetime of preparation that lies behind the skilled improviser's every idea. The product of more than fifteen years of immersion in the jazz world, Thinking in Jazz combines participant observation with detailed musicological analysis, the author's experience as a jazz trumpeter, interpretations of published material by scholars and performers, and, above all, original data from interviews with more than fifty professional musicians: bassists George Duvivier and Rufus Reid; drummers Max Roach, Ronald Shannon Jackson, and Akira Tana; guitarist Emily Remler; pianists Tommy Flanagan and Barry Harris; saxophonists Lou Donaldson, Lee Konitz, and James Moody; trombonist Curtis Fuller; trumpeters Doc Cheatham, Art Farmer, Wynton Marsalis, and Red Rodney; vocalists Carmen Lundy and Vea Williams; and others. Together, the interviews provide insight into the production of jazz by great artists like Betty Carter, Miles Davis, Dizzy Gillespie, Coleman Hawkins, and Charlie Parker. Thinking in Jazz overflows with musical examples from the 1920s to the present, including original transcriptions (keyed to commercial recordings) of collective improvisations by Miles Davis's and John Coltrane's groups. These transcriptions provide additional insight into the structure and creativity of jazz improvisation and represent a remarkable resource for jazz musicians as well as students and educators. Berliner explores the alternative ways—aural, visual, kinetic, verbal, emotional, theoretical, associative—in which these performers conceptualize their music and describes the delicate interplay of soloist and ensemble in collective improvisation. Berliner's skillful integration of data concerning musical development, the rigorous practice and thought artists devote to jazz outside of performance, and the complexities of composing in the moment leads to a new understanding of jazz improvisation as a language, an aesthetic, and a tradition. This unprecedented journey to the heart of the jazz tradition will fascinate and enlighten musicians, musicologists, and jazz fans alike.